When Apollo Kagwa was just a child, his father disappeared, leaving him with recurring nightmares and a box labelled 'Improbabilia'. Now a successful book dealer, Kagwa has a family of his own after meeting and falling in love with Emma, a librarian. The two marry and have a baby: so far so happy-ever-after. However, as the pair settle into their new lives as parents, exhaustion and anxiety start to take their toll. Emma's behaviour becomes increasingly erratic, until one day she commits an unthinkable act, setting Apollo on a wild and fantastical quest through a suddenly otherworldly New York, in search of a wife and child he no longer recognises. 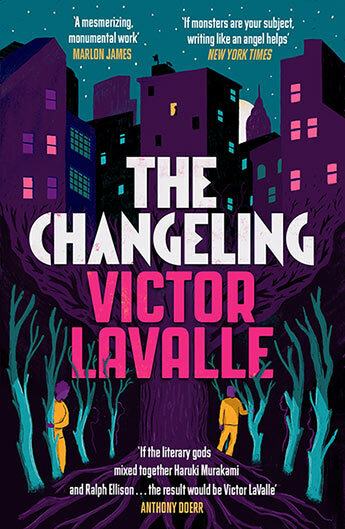 An epic novel for our anxiety-ridden times, The Changeling is a tale of parenthood, love - in its most raw and brutal form - and ultimately, humanity.